Roy L. Smith, 78, of Anderson, died Tuesday, August 30, 2016 at his home. Born in Lavonia, GA, he was the son of the late Charlie M. Smith and the late Mildred Green Smith. He was the co-owner of S&S Machine and Maintenance and co-owner of Besto in Anderson. He was a member of North Anderson Baptist Church. Survivng are his wife, Betty Olbon Smith; children, Sharon Christmas of Anderson, Sandra Bagwell of Pelzer, Susan Singleton of Anderson, and Scott Smith of Williamston; five grandchildren; sisters, Debbie Smith of Anderson, and Peggy Shirley of Anderson. Funeral service was held Thursday, Sept. 1 in the Chapel of The McDougald Funeral Home. A private burial was held. Memorials may be made to Calvary Home for Children, 110 Calvary Home Circle, Anderson, SC 29621. Candace Anita Rapley, 33, of Pelzer, died Sunday, August 28, 2016 at her home. Born in Abbeville, she was a daughter of Carl and Annie Napoleon Rapley. Surviving in addition to her parents are a son, Jacari Rapley of the home; brothers, Darius F. Rapley of the home and Carnealas R. Rapley of Ft. Wainwright, AK; grandparents, Lewis and Juanita Napoleon of Abeville; and Mamie Pinson of Abbeville. Funeral service was held Friday, Sept. 2 at Flat Rock Missionary Baptist Church. Burial followed in Greenville Memorial Gardens. Ernie Benson Ellenburg, 80, of Greer, husband of Norma Lister Ellenburg, died Wednesday, August 31, 2016 at his home. Born in Greenville County, son of the late William Benson and Erna Roper Ellenburg, he was retired from Hoechst Celanese and was a veteran of the U.S. Air Force Reserves. He was a member of El Belthel Baptist Church. Surviving are his wife of the home; son, Gary Ellenburg of Greer; four daughters, Kim Matthews and Sandy Ellenburg, both of Greer; Gail Bogle of Piedmont and Lisa Ellenburg of Inman; a brother, Fred Ellenburg of Travelers Rest; two sisters, Mary Alice Campbell of Woodruff and Betty Lancaster of Ft. Inn; five grandchildren; and six great-grandchildren. Funeral service was held Saturday, Sept. 3 at The Wood Mortuary. Interment followed in Hillcrest Memory Gardens. Memorials may be made to the Building Fund of El Bethel Baptist Church, 313 Jones Ave., Greer, SC 29650. Michael Ervin ‘Mike’ Bolt, 62, of Belton, husband of Martha Cox Bolt, died on August 31, 2016. Born in Anderson, he was a son of the late Joe Wren and Myrtis Ramsey Bolt. He was a US Army Vietnam Veteran, and a member of Mountain Creek Baptist Church. Surviving in addition to his wife are four children, Christy Newell of Alabama, Michele Neal of Piedmont, Victoria Graham of Belton, and David Bolt of Piedmont; six grandchildren; and one brother, James K. Bolt of Anderson. Memorial services will be held at a later date at the lake. The Unity Mortuary of Anderson announce that family and friends assembled Saturday, September 3, 2016 for the funeral services of Mrs. Mary Lois Owens Davis, of Pelzer, at the Mt. Able Baptist Church, 130 Mount Able Church Road, Pendleton, with interment in Mt. Able Baptist Church Cemetery. Family members gathered at 675 Campbell Road, Pelzer, SC, 29669. Joyce Ramona Wewbb, 77, of Pelzer, died Saturday, September 3, 2016. Born in Toccoa, GA, she was the daughter of the late Joseph and Beulah Hooper of Belton. She retired as plant supervisor from Universal Plastics and was a member of Cedar Shoals Baptist Church. Surviving are daughters, Audrey Hill, Patricia Holcombe, Donna Greenburg, and Susan Spearman; sisters, Dot Booth, Edith Jones, Luzelle Corbin, Jo Corley, Linda McGaha, and Guynelle Brooks; brother, Howell Hooper, 11 grandchildren; and six great-grandchildren. 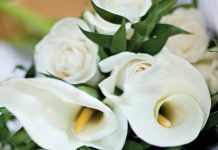 She was predeceased by her husband, Norman Webb, Sr.
Funeral services were held Wednesday, Sept. 7 at Cox Funeral Home Chapel. Burial followed at Greenville Memorial Gardens. Margaret Fossett “Fluffy” Keenan, 66, of Easley, died Sunday, September 4, 2016. Born in Pelzer, she was the daughter of the late James and Ruby Galloway Fossett. She was retired from Organics and More in Greenville. Surviving are her husband, Wayne Keenan; two sons, Paul Keenan and Terry Keenan, both of Easley; four grandchildren; four great-grandchildren; and two sisters, Barbara Springfield of Greenville and Phyllis Davis of Piedmont. A celebration of life service was held Wednesday, Sept. 7 in the chapel of Robinson Funeral Home-Downtown. Burial followed in Greenlawn Memorial Park. Joseph Palmer “J.P.” Walls, 77, of Hartwell, GA, died Monday, September 5, 2016 at his home. Born in Anderson, he was the son of the late James Marvin Walls and Lucy Gilliam Walls. He was retired from BASF and attended Providence United Methodist Church. Surviving are his wife, Sue Walters Walls; four daughters, Susan Harris of Amarillo, TX, Tina O’Tuel of Hartwell, GA, Tammy Strickland of Hartwell, GA, Gina Grant of Williamston; eight grandchildren; eight great-grandchildren; one brother, Tommy Walls of Anderson; four sisters, Lorene Bolt of Belton, Sue Bates of Anderson, Mary Richey of Belton, and Gwen Walters of Anderson. Funeral services will be held Thursday, September 8 at 2 p.m. in the Chapel of Strickland Funeral Home of Hartwell, GA. Burial will follow in the Nancy Hart Memorial Park. Memorials may be made to the Providence United Methodist Church, 2395 Providence Church Road, Lavonia, GA 30553.